If you have been a follower for a while then you are well aware of my addiction to chalkboard and neon. My entire classroom was redecorated to reflect my obsession. If you happened to miss my reveal check it out HERE. 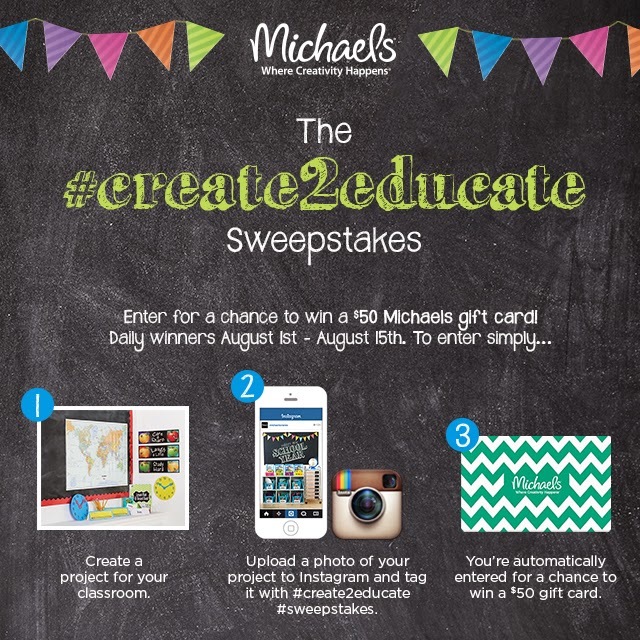 I am so excited to be participating in Michael's Stores #create2educate giveaway. 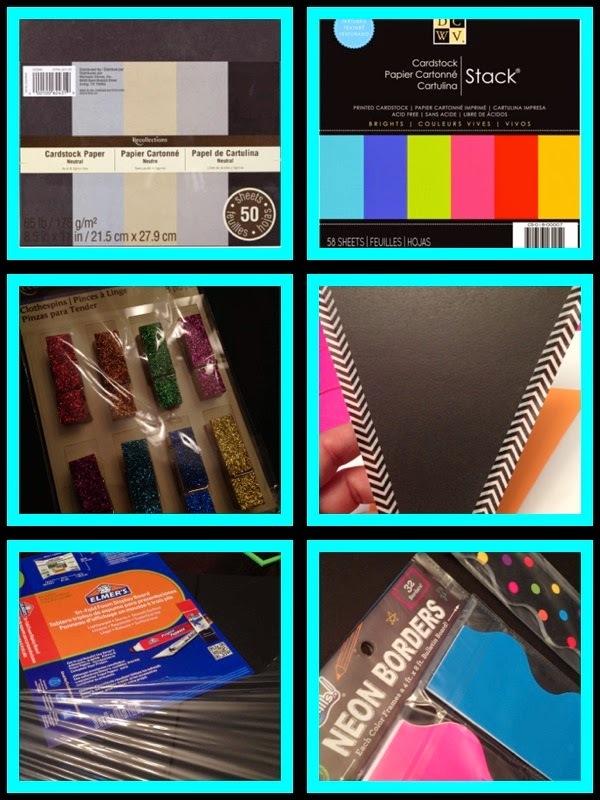 All of the materials that are pictured are from my favorite craft store, Michael's. Find them here on Instagram! Since I am back to school in a few weeks and our "Meet the Teacher" night is EXACTLY one week from the day we start....EEK! I figured I would do something for that night. The parent reading tips brochure is from my dear friend Lyndsey or at A Year of Many Firsts new "Be a Reading Expert" pack. This girl is so creative and talented it's ridiculous! The girl makes me run out of ink constantly! She is truly gifted! There is a photo release and another brochure about my specific class and I also include blank index cards for the parents to fill out all of their info. I will show you more from my "Meet the Teacher Night" in a few weeks. Here is what you will need in order to make your own. Well, I hope you LOOOVE this idea! I'd love to read your thoughts on what you do for "Meet the Teacher" night. 1.) Create your own B2S project and upload it to Instagram between August 1-15. Post as many projects as you want… entries are UNLIMITED! 2.) Be sure to use the hashtags #Create2Educate AND #sweepstakes in your post/s. 3.) Don't forget to tag @MichaelsStores with each entry. *You don't have to be a teacher to participate! *Winners are chosen daily, so you have plenty of chances to snag that $50 prize! *In order for your entry to be shared on Michaels.com/create2educate or other social channels, you must give permission. To do so, just go to Michaels' Instagram and follow the link in their profile. Then, complete the steps in order to give Michaels permission to share your photo. Your chalkboard and neon combination looks fun for a night party! Very creative and colorful. Great job! Girl - you never cease to amaze me! I LOVE your brain! I love your neon-themed boards! iam sure that your students are amazed by it too. Definitely, it works well especially when revealing some important infomation. Thanks for sharing! Your style is so unique! Your kids are so lucky to have you as a teacher!! Where did you get your photo release from? Or did you make it? buy targeted likes This solution is the best medium that you can choose for raising internet web traffic on your web page as all the people will be able to see the products and also solutions that you are providing.